Autostar #497 can be retrofitted to ETX-90EC, ETX-105EC, ETX-125EC & LX90 telescope. It is one of the most versatile telescope hand controller ever since. 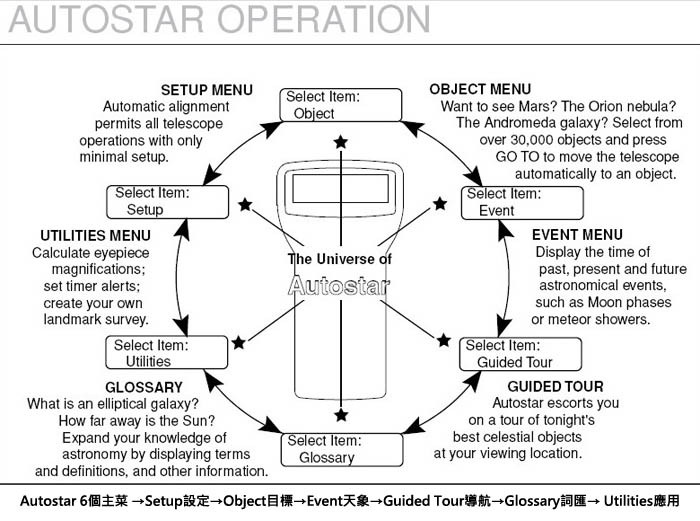 A simple telescope alignment followed by a press on the GOTO button, you are ready to observe any object in the Autostar's 30,000 object data base. Its user-friendly, even the most novice observer will be easily capture different objects at the very first night: Saturn's rings, Jupiter's moons, Orion Nebula, Omega Centauri, etc. Besides, you may simply connect the Autostar by the #505 cable set (RS232 serial interface) with Meade AstroFinder software pre-installed in the PC or notebook, once you click and point on any object on the PC display, the telescope will slew to the target in several seconds! Autostar #497 適用於 ETX-90PE, ETX-125PE及 LX90-ACF 望遠鏡, 它是目前最多功能的望遠鏡控制器之一. 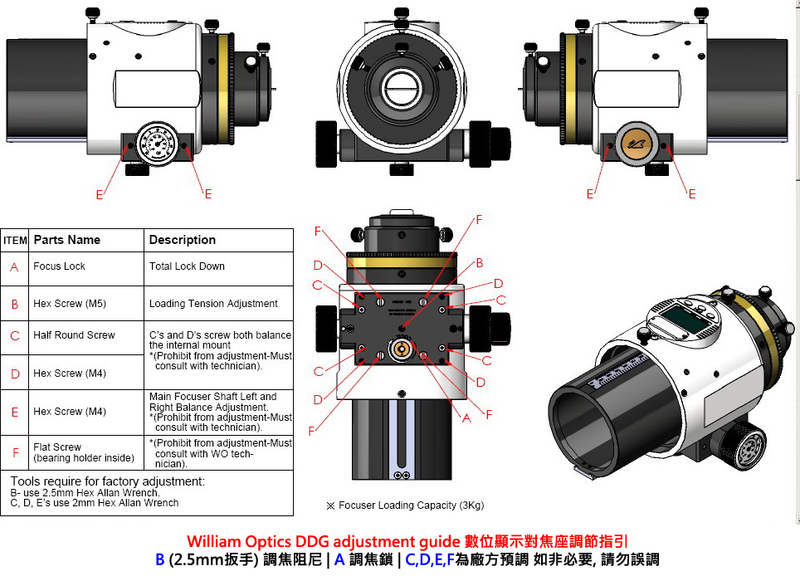 只須輸入日期、時間及預先設定兩顆基準星 (alignment star), 按 GOTO 鍵, 你便可輕鬆地觀測多達 30,000 個天体. 它使用非常簡單, 就算初入門的觀測者在第一次亦很容易觀測到多個天体：土星環, 木衛, 獵戶座星雲, 亞米加星團等. 你亦可將 Autostar 與電腦連線, 透過 #505 連線套件及 Meade AstroFinder 軟體, 便可用滑鼠自如地操控望遠鏡, 不消十數秒, 望遠鏡立刻指向目標天體. C(Fig 29c). 電源 (Power)面板向西， 鏡筒向北.